We'll keep you posted on what's happening with the Old Missouri Bank family and beyond. Community events, policy updates, fraud prevention and other tips...you name it, this is where you'll find it! Springfield, Mo. – Old Missouri Bank announced today a new partnership with Coach Dana and Christina Ford’s Rebound Foundation to bring a new fundraising event to JQH Arena in February 2019. “The Rebound Challenge” will be a highly publicized event, encouraging the Springfield region, and all Bears fans, to pledge their support for The Rebound Foundation and (newly announced) Marda’s House. The Rebound Challenge will be held during the Missouri State Bears men’s basketball game versus Illinois State on Sunday, February 10, 2019, at 3 p.m.
How does The Rebound Challenge work? Supporters are encouraged to pledge one dollar (or more) for every rebound the Bears have during their game against Illinois State on February 10. Every donation will go directly to The Rebound Foundation and will help with the annual housing expenses for Marda’s House. You can make your pledge online at https://pledgeit.org/msu-rebound. Missouri State Bears Head Basketball Coach Dana Ford and wife, Christina, recently announced Marda’s House, the new transitional facility for women who have survived domestic violence. Marda’s House will provide women with clean, stable housing for up to six months while they work towards independence. Mt. 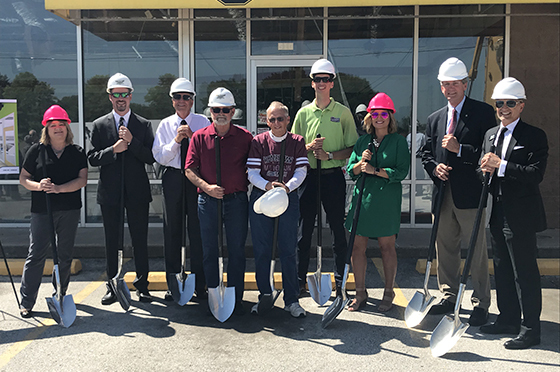 Vernon, MO – Old Missouri Bank held a groundbreaking event on Friday, May 18, 2018, for its new branch location in Mt. Vernon, Missouri. The event took place at 10:30 a.m. at 510 West Mount Vernon Blvd. (former home of Eli’s Short Stop), and the public was invited to attend. Currently, Old Missouri Bank has been operating a temporary branch at 318 W. Mt. Vernon Blvd., in Mt. Vernon, Missouri. The facility was designed by Paragon Architecture and Federal Construction has been selected as general contractor for the project; completion is expected by the end of the year. The new branch will house six employees with room for added employee growth. Springfield, Mo. – Old Missouri Bank announced the opening of its temporary branch location, 318 W. Mt. Vernon Blvd., in Mt. Vernon, Missouri. This new full-service branch will bring Old Missouri Bank’s number of locations to six; with additional offices in Springfield, Ash Grove, Walnut Grove and Buffalo. The temporary branch location will be staffed by Joey Orr, senior vice president and loan officer; Cheryl Lathem, retail manager; and Carla Peterson, loan assistant. Operating hours of the branch are Monday thru Thursday from 9 a.m. to 4 p.m. and Friday from 9 a.m. to 5 p.m. All customers can call the branch directly at 417-316-9288 for more information. In addition to the new temporary branch location, Old Missouri Bank closed on the purchase of a permanent branch located at 510 W. Mt. Vernon Blvd., Mt. Vernon, Missouri (formerly the home of Eli’s Short Stop). This additional investment into the Mt. Vernon community is slated for a late 2018 completion. So you find yourself in the last place you thought you'd be — in a career rut, where inspiration is a struggle and you're locked in a paralysis, unsure how to make it better. Take heart; we've all been there at one time or another. To break the logjam, we looked to five big influencers who will help you feel more inspired and boost your productivity. The Sage of Omaha helped his pilot (allegedly) chart a more ambitious life plan with the 25-5 rule. You start by listing your top 25 goals and dreams. Then, choose the top 5 and rank them. As for the other 20? They don’t matter, Buffett says. In fact, they should be avoided. To give your biggest projects a fast start, begin with things that come easily or are even fun, says the founder of Facebook. That early sense of progress just may give you the momentum to get through the toughest steps. So many decisions lie at the feet of the Commander in Chief. Since the human brain can handle only so many decisions a day before it gets weary, he eliminated less important ones so he’d have plenty in his reserves. For example, he put limits on his diet and wore only gray or blue suits. If you're a fan of "The Crown," you may have noticed many scenes featuring the legendary prime minister working in bed. This actually reflects his real-life habit: He woke up and dove right into his tasks for three or four hours — in bed! However, sleep experts will tell you it’s important to use your bed only for sleeping, so if this plan appeals to you, modify it. Get up and leap into the important stuff while in your pajamas, before you jump into the morning routine. No matter what happens, it’s always important to remember every success story has tales of stumbles and falls and lulls. Your career is a marathon, not a sprint. Take a step in the right direction, keep moving, and one day, this too shall pass. Springfield, Mo. – Old Missouri Bank will open its anticipated Loan Production Office (LPO) in Mt. Vernon, Missouri, at 9 a.m. on Monday, November 6, 2017. This new loan production office will be located at 318 W. Mt. Vernon Blvd., Mt. Vernon, MO 65712. 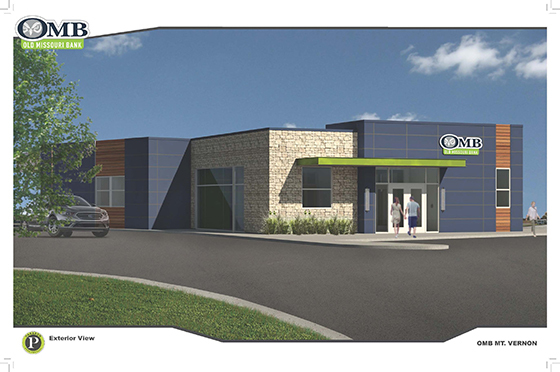 In late June, OMB announced the new location, along with the addition of Joey Orr, Senior Vice President, to the team. Along with Orr, the LPO in Mt. Vernon will be staffed by Carla Peterson, Loan Assistant. The opening of the LPO is the first step into the marketplace for OMB. Additional plans to build a full-service branch within the Mt. Vernon community are slated for completion in 2018 and will be pending regulatory approval. Springfield, Mo. – Old Missouri Bank announced today plans to open a loan production office in Mt. Vernon, Missouri. The official date of opening for the office will be announced at a later time. This new facility will bring Old Missouri Bank’s number of locations to six; with current offices in Springfield, Ash Grove, Walnut Grove and Buffalo. 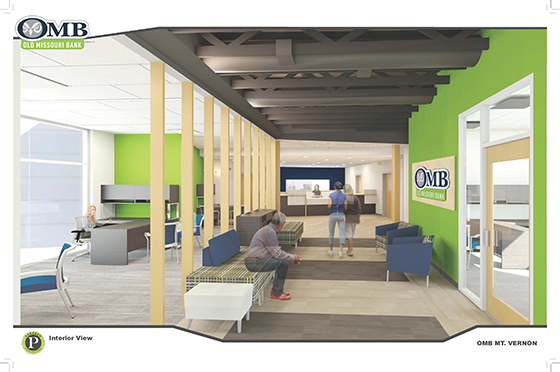 In addition to the loan production office, Old Missouri Bank plans to build a full-service branch within the Mt. Vernon community. This additional investment is slated for a late 2017 completion and will be pending regulatory approval.